[P][C][C] Triple Smash: 10+ damage. Flip 3 coins. This attack does 60 more damage for each heads. 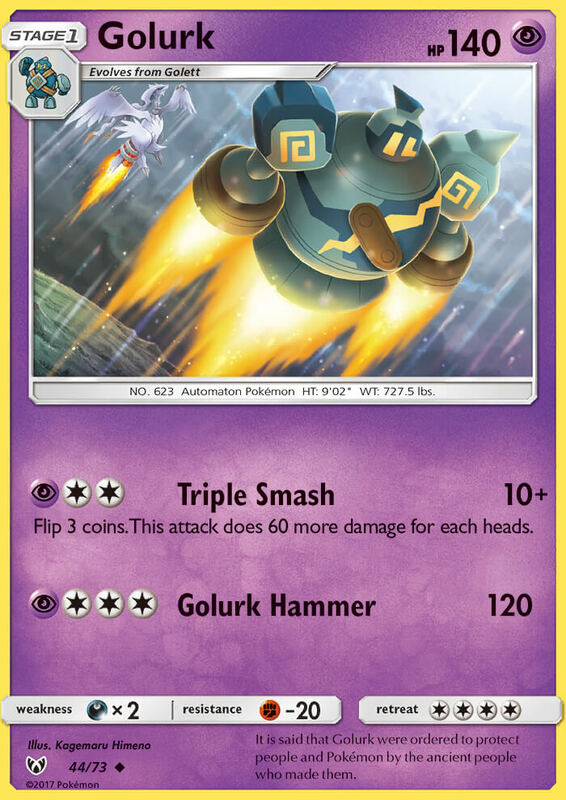 [P][C][C][C] Golurk Hammer: 120 damage. It is said that Golurk were ordered to protect people and Pokémon by the ancient people who made them.